The hospital is located at 185 Fox Valley Road, Wahroonga, 2076. Please refer to Google Maps for driving directions. 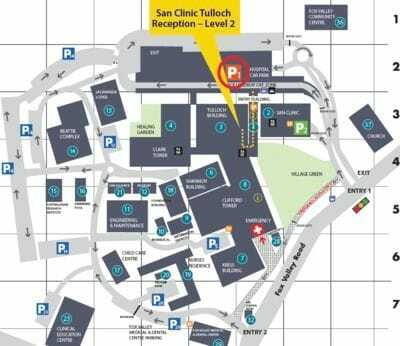 In most instances patients and visitors should enter via the main entry located at the traffic lights in Fox Valley Road. Parking is available onsite for a fee. Please visit parking for more information. 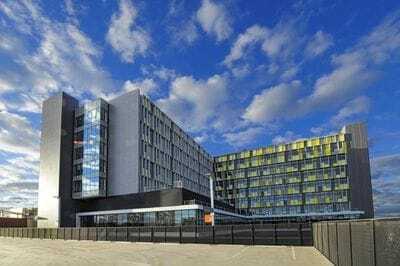 A new multi-deck car park, providing 896 car spaces, opened in June 2013 and is the Hospital's main car park. If you are using public transport, the 131 500 website is a great way to plan your trip. Sydney Adventist Hospital is listed as a landmark. Both the North Shore Line and the Northern line via Strathfield may be used to connect with buses travelling to Sydney Adventist Hospital. 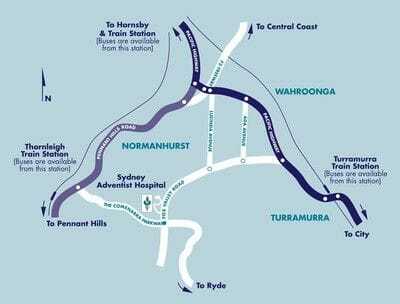 From the North Shore Line use Turramurra Station, whilst from the Northern Line, both Thornleigh and Hornsby Stations may be used. For information on train timetables and fares visit the City Rail Website. Two bus services operate on a regular basis to and from Sydney Adventist Hospital. Both services are operated by Shorelink Bus Services with one travelling from Turramurra Station on the North Shore Line, and the other from Hornsby and Thornleigh Stations on the Northern Line. Click here to view the timetable and route map for this service.